My name is Ellie and I live in Cambridge (close to the Rosie Hospital) with my partner and our two children. I am extremely passionate about birth and the transition into parenthood. I became a doula because I feel families should be nurtured and cared for during pregnancy, birth and the postpartum period, in order to achieve the best possible experience. My experience tells me that birth is a spectrum. I have supported waterbirths, caesareans, VBACs, inductions and both home and hospital births. Whatever your choices are (at any stage), and whichever direction your journey takes, I am there to help you achieve a positive experience where you feel in control and well informed. 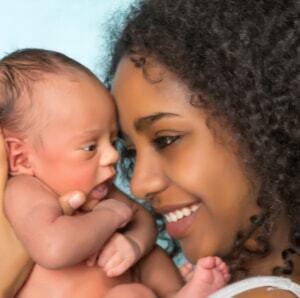 Likewise, the early days with your baby are unique to you and can require nurture and support as you navigate parenthood in your own way. Whether it be your first baby or an addition to the family, the postpartum experience is a transition My job is provide personalised and flexible support, holding space for your family while you bond and adjust to the “new normal”. As your birth doula, I will be led by you, providing the information you desire and together we can explore how you’d like your birth to be. I can’t predict or guarantee outcomes, but I aim to get you to a place where you feel confident to make informed choices. I use a number of physical comfort measures during labour and birth, which we can discuss and practice at our antenatal sessions. I am a non- judgemental ear to listen, a shoulder to cry on and your advocate at all times. 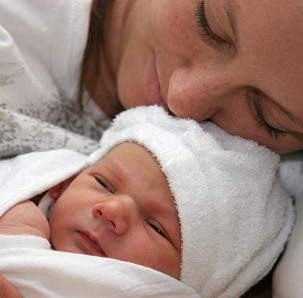 As your postnatal doula, I will tailor my support to your needs. This might come in the form of practical help around the house, and allowing you time to get much needed rest. I can provide support with breastfeeding or bottle feeding and will make sure you are eating well by helping you with food preparation. 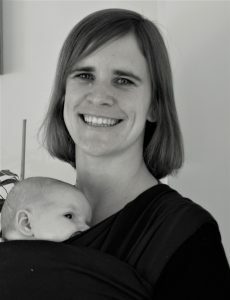 I have experience and training to help with using slings and baby carriers if you plan to wear your baby. I am there to listen to any concerns or worries and will do whatever I can to make your postpartum experience relaxed and positive. In 2013 I founded Cambridge Birth Choices, a free drop-in for women to explore their birth options. I noticed a need for expectant mums to connect with one another, to be listened to, and to navigate maternity care. We now have a thriving, friendly group running twice-monthly, that many women return to again and again. I run this in collaboration with other volunteer doulas and local midwives. Please see the resources page for details. I am also available as an antenatal doula. If you are having a difficult pregnancy and finding it hard to keep on top of things, I can provide practical and emotional support to help you find your way through things. Please feel free to give me a call on 07735 611475 to discuss what this support might look like for you. I love working with families while they navigate their way through this important journey and I believe firmly in supporting the choices that they make. I understand that families come in all shapes and sizes so please get in touch whatever your family structure is. Aisha: “Ellie is the epitome of professional (as far as I can use that term for doula work!). Everything was clear and all my questions and concerns well discussed. I felt like she really cared about me and my family and gave me everything I could have asked for in a doula. Presence, a listening ear, being available on the telephone, protection, understanding, love and this was all before the actual birth! Susanna: “Ellie helped me verbalise my thoughts and wishes and to calm my nerves before the big day. She also helped go through a number of rebozo techniques to aid a good labour. When I started to get frustrated about being ‘overdue’ and the pressure put on me by the hospital midwives, she encouraged me to seek independent advice. Developing Doulas Preparation Course 2012. Doula UK approved preparation course covering Birth and Postnatal work. Introduction to Hypnobirthing: A study day looking into hypnobirthing; how it works, the benefits, and how to support families that use this tool. With certified hypnobirthing practitioner, Victoria Keenan. Babywearing Peer Support: A study day learning the ins and outs of using slings and baby carriers, the benefits of babywearing, choosing carriers, different techniques to get a more comfortable and ergonomic fit, followed by an advanced back carrying workshop. Both with Sophie Messager, Babywearing instructor and tutor. Rebozo Technique: Learning to use the rebozo (a traditional mexican shawl) as a labour aid, allowing for rhythmic movements and comfort measures during birth. With Doula, Stacia Smales Hill. 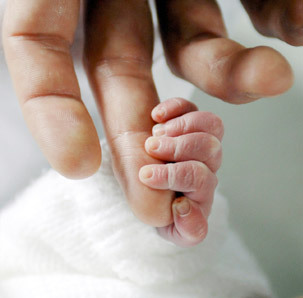 Birthing 4 Blokes: A workshop dedicated to supporting fathers to support their partners during birth with Mark Harris, Midwife and author of ‘Men, Love and Birth’. Breastfeeding: Discussion and look into breastfeeding cases studies; how problems and obstacles manifest and how to tackle them. With ABM breastfeeding Counsellor Maddie McMahon. Tongue Tie: An overview of Tongue Tie in babies; it’s definitions, the different options in getting support and correction and how best to support parents with a tongue tied baby. With Maddie Mcmahon.